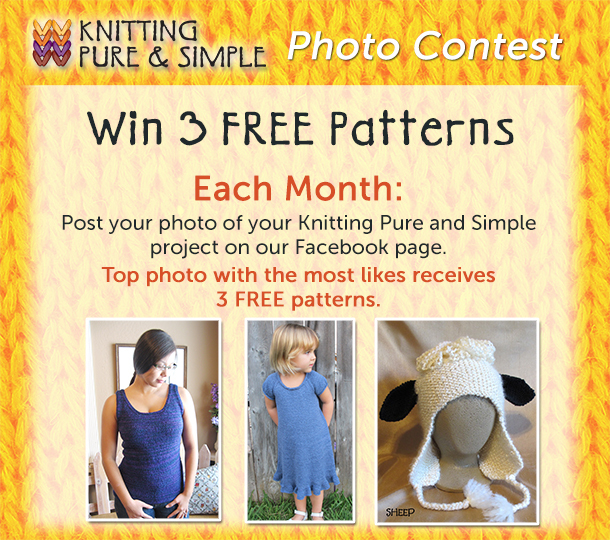 Want to win 3 free patterns? It’s easy: simple take a picture of your current KPS project and share it on our Facebook page. Photo that receives the most likes in one month will receive 3 free KPS photos. Or, if you don’t have Facebook, please send us your photos and we’ll share them for you. Thanks for being a KPS fan and looking forward to seeing your photos.